A support system that will make the already successful steel industry even stronger through an effective collaboration between business, society and research. The focus is on the industrial challenges, skills supply and resource efficiency. 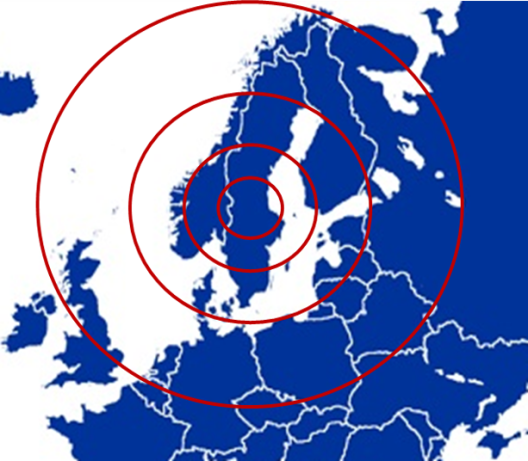 Triple Steelix is ​​a unique investment for the industrial region and for the whole of Sweden. The uniqueness is the broad role of collaboration that the organization has, which means collaboration with many players whose different needs and ideas can be matched to contribute to innovation and renewal through new technical solutions. The working method has proven to be successful and many participating parties have been given the opportunity to develop their infrastructure. The goal is for everyone to win at Triple Steelix, the business community, academies and society as well as the individual citizens. Triple Steelix vision: The industrial region as "Center of excellence and innovation on advanced steel"
Triple Steelix assignment: Increase the attractiveness of the region through research, innovation and development work in and between companies, academia and society. Triple Steelix is ​​a member-owned organization from 2020. Owners are steel-related activities in Northern Central Sweden, municipalities, Jernkontoret and other organizations. • Possibility of allowing new ideas to be tested by researchers and in experimental activities.